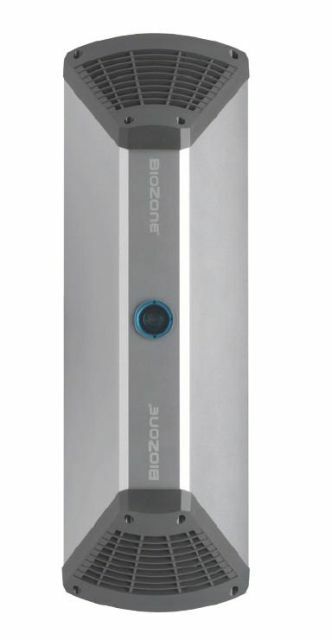 BioZone is an advanced air purification system which improves the hygiene in the air and on surfaces. With its combination of sterilizing techniques, it destroys viruses and helps resolve permanent odour problems by killing the bacteria which cause them, making it highly effective in washrooms, doctors' waiting rooms, nursing homes and food preparation areas. Minimal maintenance – requires simple annual UV bulb replacements. Quiet, compact unit; can be fitted to wall or ceiling. Runs continuously for maximum effectiveness. Electrical Rating: 16–24 W (0.16 A, 220–240V/ 50–60 Hz). Size: 401 x 131 x 91 mm. The product information below is from the NBS Plus library of product clauses offered in NBS specification products. It has been created by NBS for Warner Howard Hand Dryers. Each product clause is authored in NBS format and is intended for inclusion in project specifications. Please note that NBS product guidance is not a replacement for the manufacturer's literature and it is recommended that Warner Howard Hand Dryers be consulted before specifying.